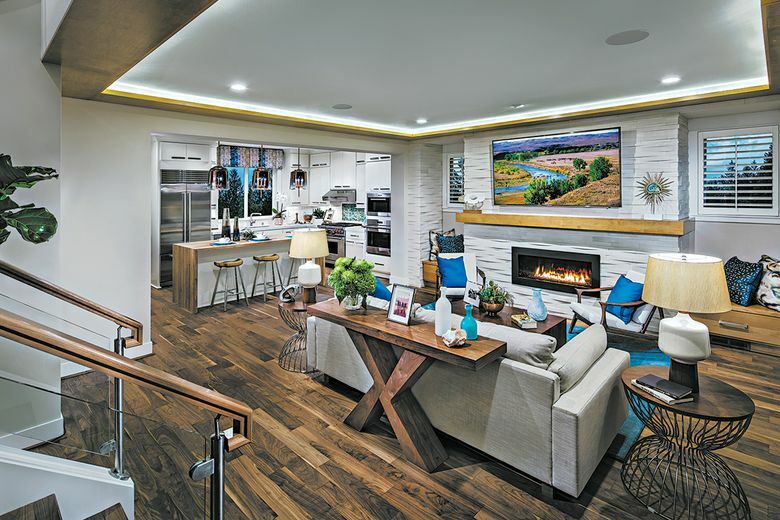 Toll Brothers is highlighting its remaining Signature Homes at Pinnacle at Inglewood Hill during the final weekend of the builder's National Sales Event. 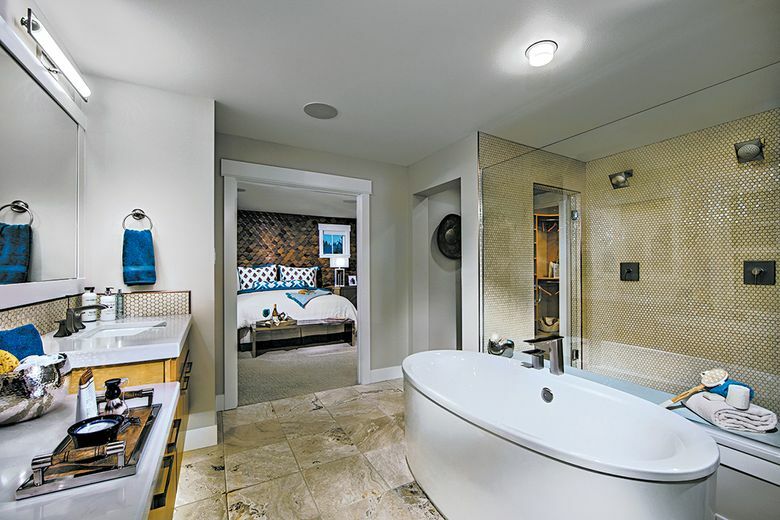 SAMMAMISH — Toll Brothers is highlighting its remaining Signature Homes at Pinnacle at Inglewood Hill during the final weekend of the builder’s National Sales Event. Ending on Feb. 19, the event offers homebuyers 50 percent off options up to $30,000 and an additional $4,000 toward Design Studio upgrades. Complete details are available at the sales office. Three of the remaining eight homes feature the Carillon with basement design. The 2,811-square-foot floor plan has four bedrooms and 3.5 bathrooms, as well as a main-level entry. Guests enter a light-filled great room that features a wall of windows showcasing the natural greenbelt. A seamless layout connects the great room, kitchen and dining area, which has French doors that lead to a rear deck for outdoor entertaining. The walkout basement includes a game area and media room, as well as a private guest bedroom suite. Three additional bedrooms are on the second floor, including a master suite with an attached covered balcony. The upstairs also boasts an open loft that can serve as a second living area or bonus room. In addition to the Carillon homes, there is one for sale with the Sidney design, which is the same floor plan as the community’s model home. “The homesite of the Sidney design is at the top of a hill, so there are going to be some incredible southeast views,” says Susan Meadows, the sales manager at Pinnacle at Inglewood Hill. Other highlights of the Sidney include a formal great room with access to a covered balcony; a tucked-away laundry area; and a large first-floor bedroom that can also serve as a guest suite, recreation area or media room. There are also Design Studio incentives for buyers who want to personalize their home. “We have already started construction on these homes, but there is still a window of opportunity to select the interior finishes,” says Meadows. 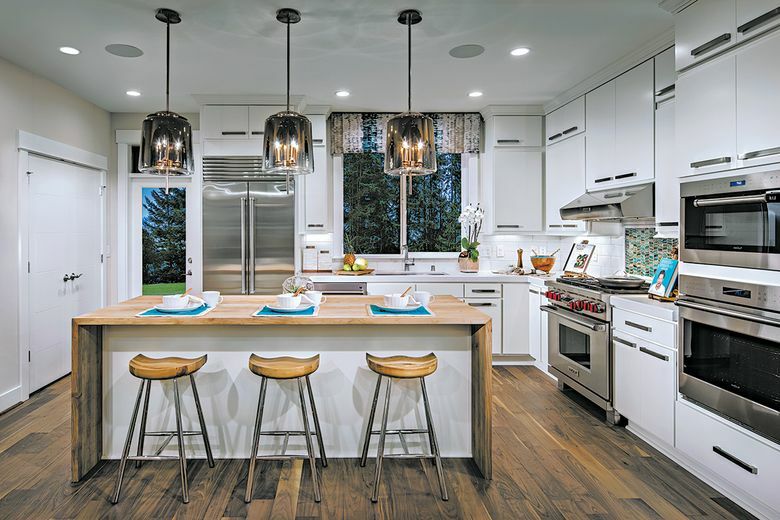 All homebuyers will have the opportunity to meet with a personal designer at the Design Studio in Kirkland, where they can view and select options such as cabinetry, flooring, hardware and more. Pinnacle at Inglewood Hill is served by the Lake Washington School District. The community is less than 10 minutes from three public schools: Margaret Mead Elementary, Inglewood Middle School and Eastlake High School.